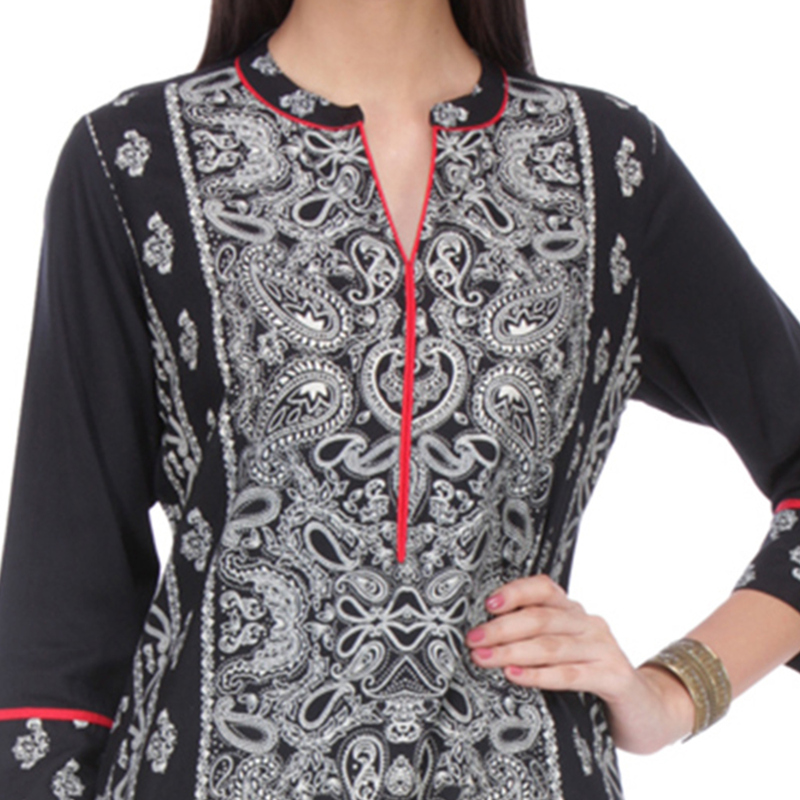 Look smart & get noticed for your new look with this black - grey kurti. This rayon kurti is beautified with pasiley & floral design print work as shown. Ideal for casual outing & weekend get together. Team it up with matching palazzo & leggings for a complete look.